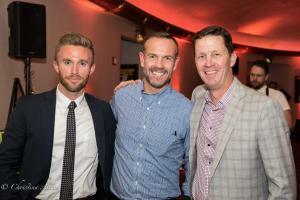 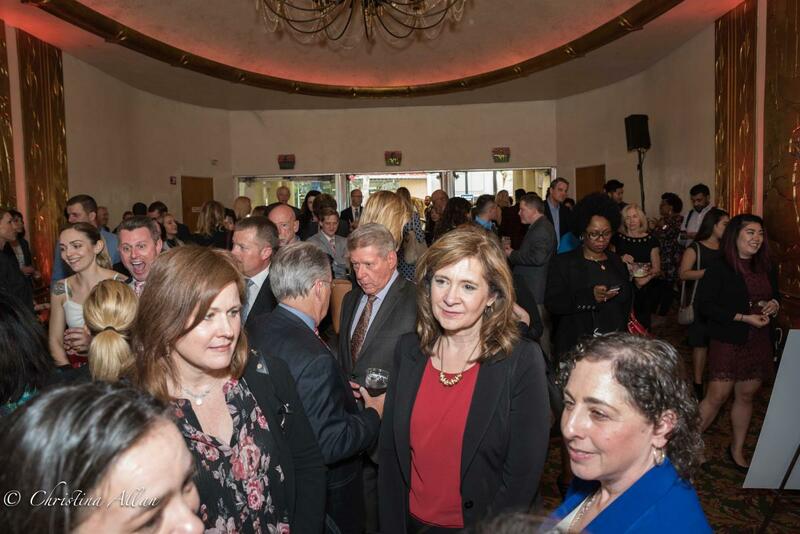 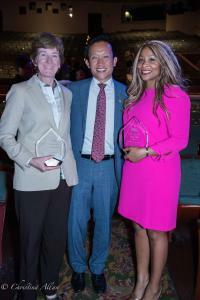 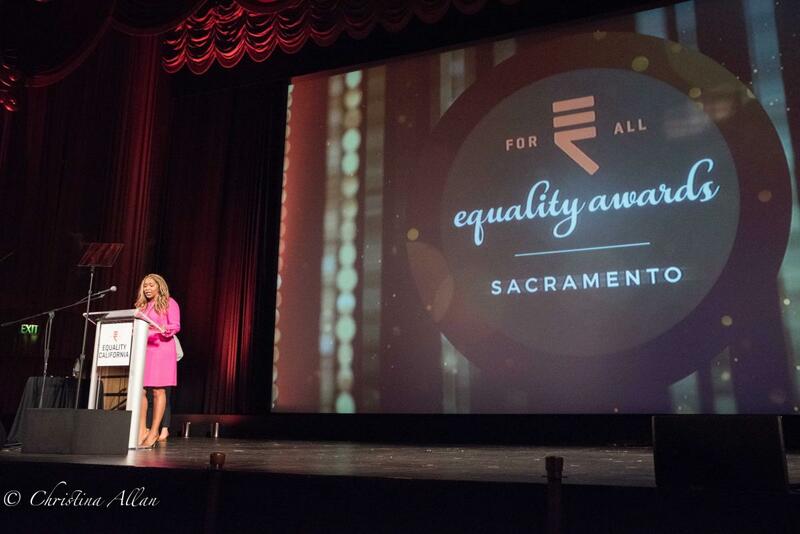 On Tuesday, April 10, 2018, Equality California hosted its annual Sacramento Equality Awards event at the Crest Theatre, honoring California Attorney General Xavier Becerra, Adama Iwu, Cathy Schwamberger, and The Capitol LGBTQ Association for their leadership in the fight to advance LGBTQ civil rights and social justice. 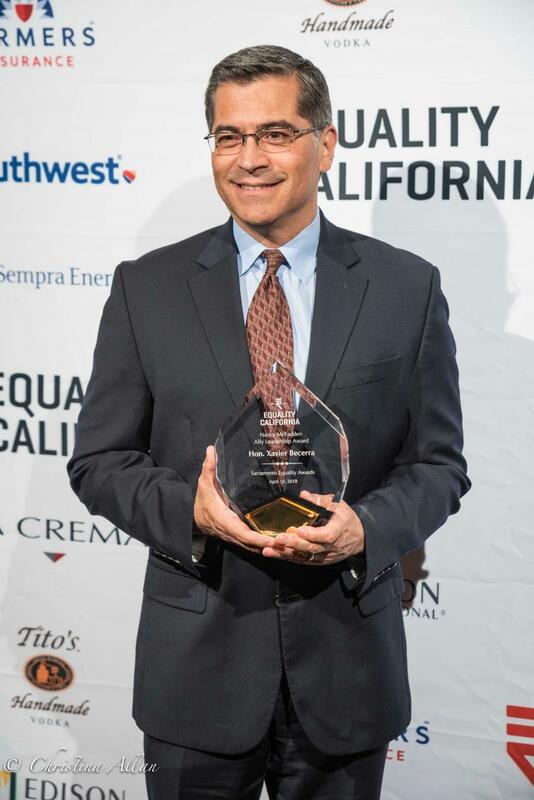 California Attorney General Xavier Becerra received this year’s Ally Leadership Award, renamed the Nancy McFadden Ally Leadership Award in honor of Governor Jerry Brown's long-serving Chief-of-Staff. 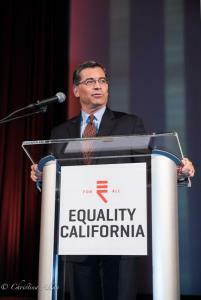 During his service in Congress, Becerra was one of the LGBTQ community’s strongest and earliest allies. 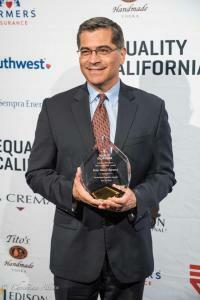 According to the EQCA website, under his direction, California has filed 28 lawsuits against the Trump Administration on issues of LGBTQ equality, immigration, healthcare, and the environment. 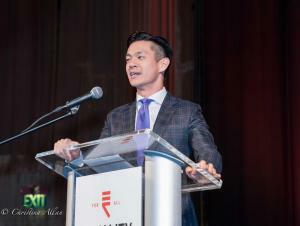 A key part of his work has extended to defending the rights and health and wellbeing of the LGBTQ community. 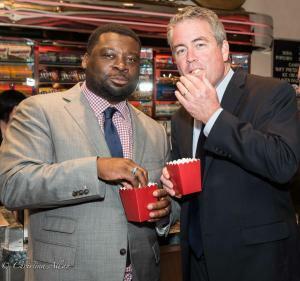 He filed an amicus brief in the G.G. 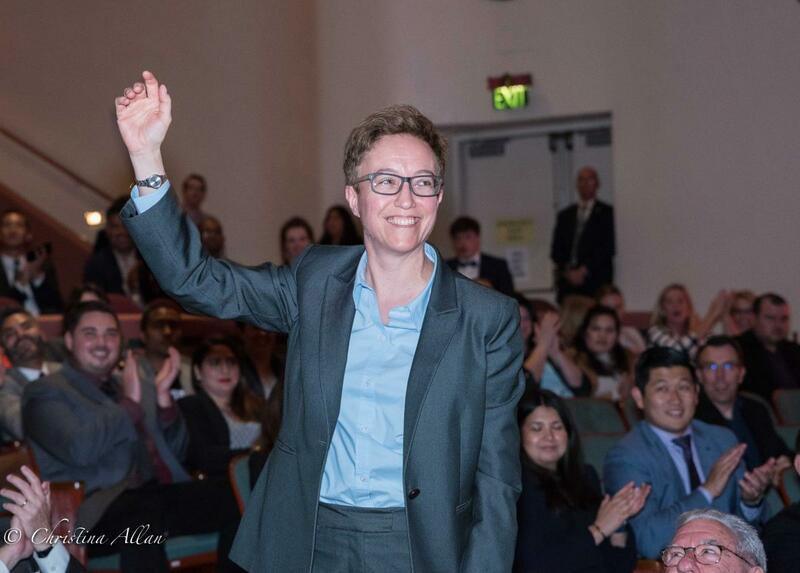 v. Gloucestor County School Board case in support of Gavin Grim and transgender students. 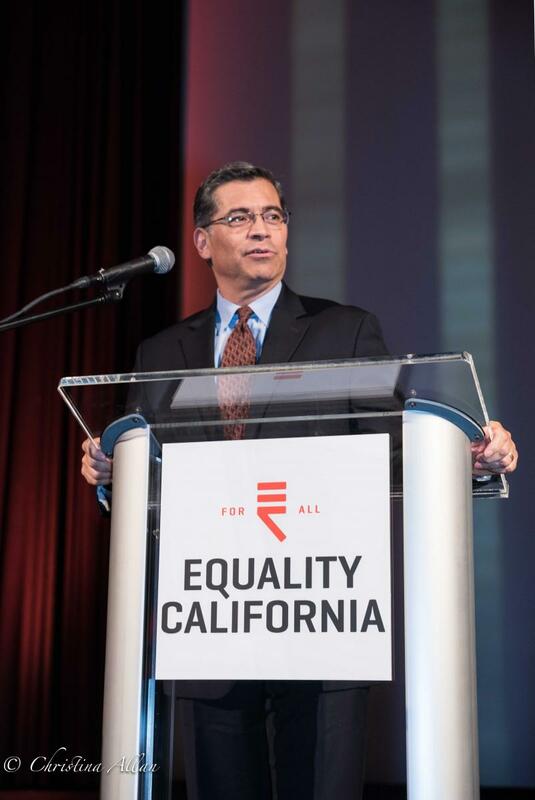 He intervened on behalf of the state of California in Equality California’s lawsuit Stockman v. Trump to block the Trump Administration’s transgender military ban, putting the weight and moral authority of the state of California against the transgender military ban. 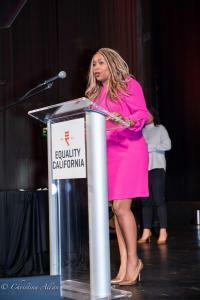 Adama Iwu received Equality California’s Equality Activist Award after being recognized as one of Time Magazine’s “Silence Breakers” for her efforts to end sexual harassment in the California State Capitol. 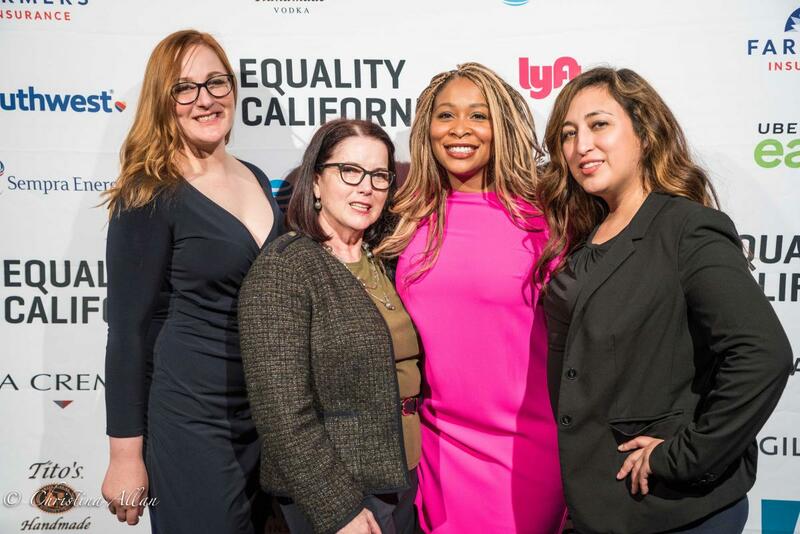 This past year, she authored a bipartisan letter signed by 140 women that publicly called for an end to the culture of sexual harassment within the California Capitol community. Iwu is co-founder of the organization, “We Said Enough,” which works to eradicate sexual harassment in California politics and currently serves as senior director of local and state government relations at Visa Inc. Iwu’s longstanding advocacy for social justice and the civil rights of all people, including LGBTQ people, is crucial at a time when LGBTQ people still face employment disparities and high rates of workplace discrimination. Cathy Schwamberger received Equality California’s Equality Leadership Award. 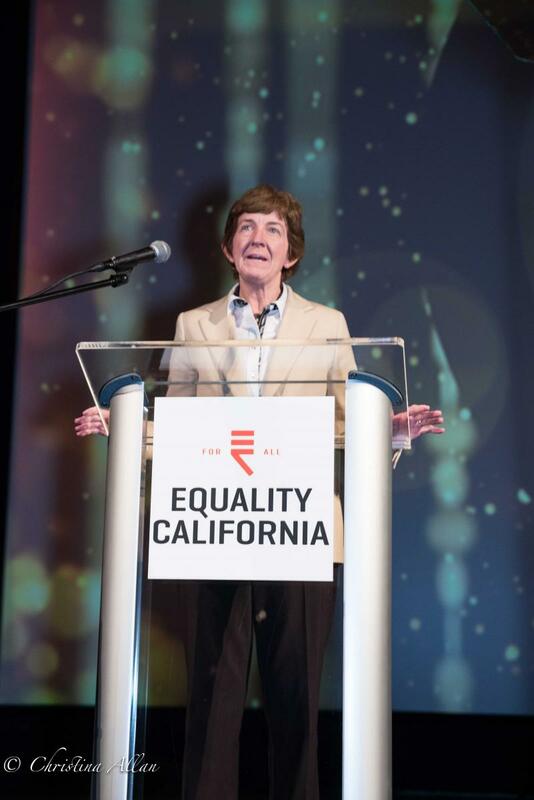 Schwamberger is former board president of Equality California Institute and a long-time board member and supporter of Equality California. 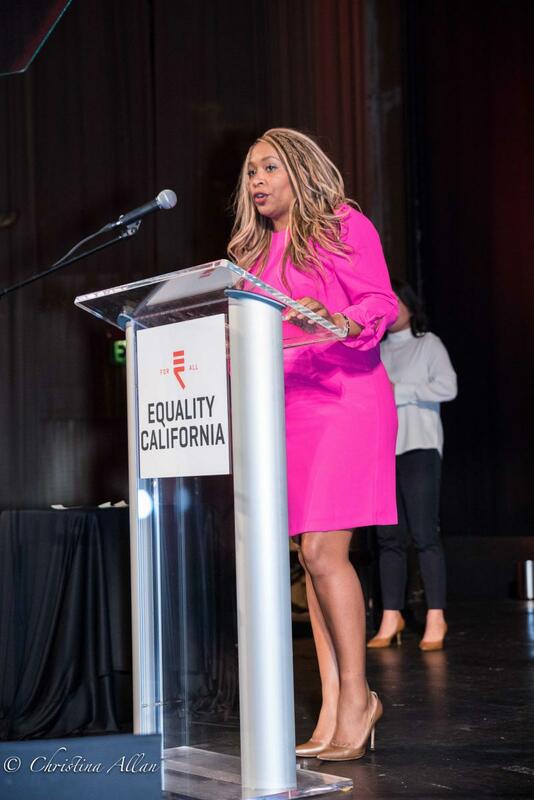 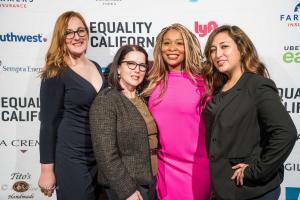 Under her leadership, she successfully helped Equality California through numerous transitional periods and because of her dedication, the organization experienced major growth. 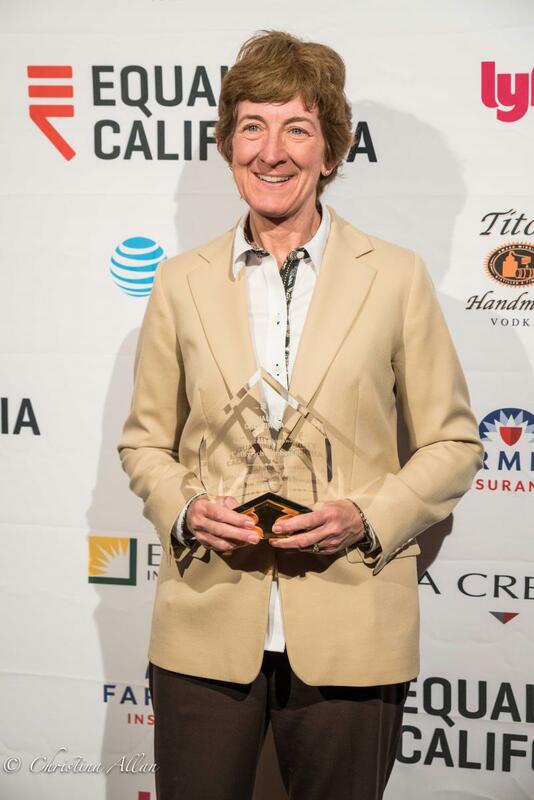 Schwamberger is Associate General Counsel for State Farm and serves as a lead attorney for legislative and regulatory activities. 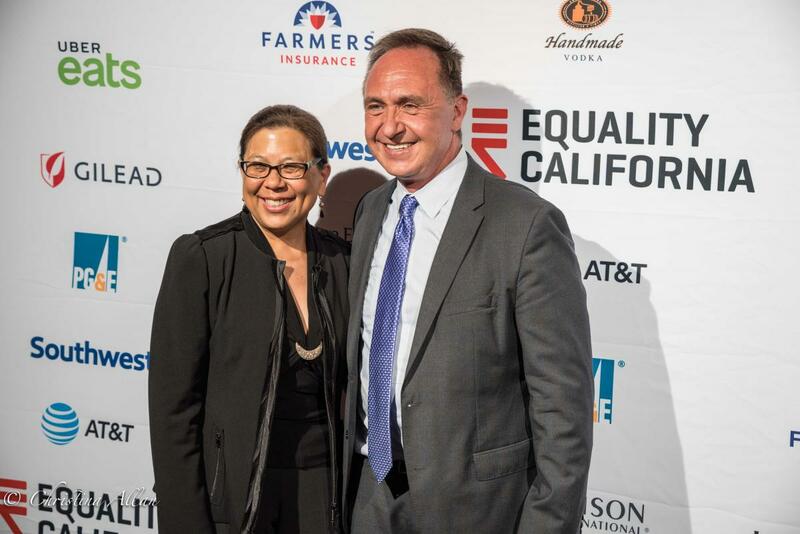 She also serves as a member of the Insurance Diversity Task Force of the California Department of Insurance, where she contributes to concentrated efforts to increase diversity within the insurance industry.